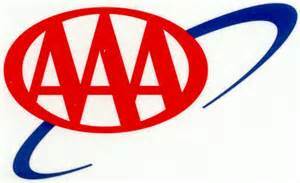 AAA has predicted that the highest number of travelers will hit the road since the recession and they will average 594 miles for a round trip this Labor Day weekend. AAA Travel predicts that over 34.1 million people living in the U.S. will make a journey of at least 50 miles during the upcoming three-day Labor Day Weekend. That figure is an increase of 4.2% from last year when 32.7 million made the same type of trip. The amount of holiday travelers for this Labor Day has been predicted to reach a post recession high. Labor Day is on Monday September 2 and is considered by many to be the end of the summer high season in the U.S. and the last time for family and friends to meet before autumn begins. AAA has attributed the increase to the positive outlook economically and consumer’s confidence in the country’s housing market that has season a recent increase. Eighty-five percent of this weekend’s travelers or about 29.2 million will use an automobile for their travel, which is a 4.3% increase over last year’s 28 million. Air travel for the holiday is expected to be 2.6 million or an increase of 3% over last year. The largest number of travelers during the weekend will leave on Friday, with the most popular return day being Monday September 2, with over 43% returning that day. On average, the traveler will have a round trip of 594 miles, with an overall average cost of $804. The non-profit organization reminds all drivers that for many areas, school has already started and they must be focused behind the wheel at all times. The price of gas is unlikely to play a major role in determining if people travel over Labor Day weekend. Prices were 2.7% lower in mid August than last year at the same time. The national average today is $3.53 per gallon.